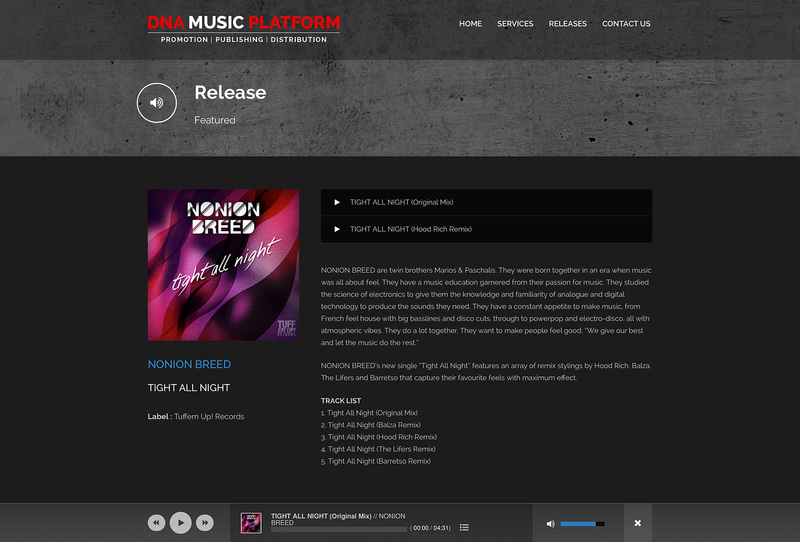 DNA Music Platform is an electronic and dance music service that gets artist’s tracks to DJs, creative directors and music buyers around the world. 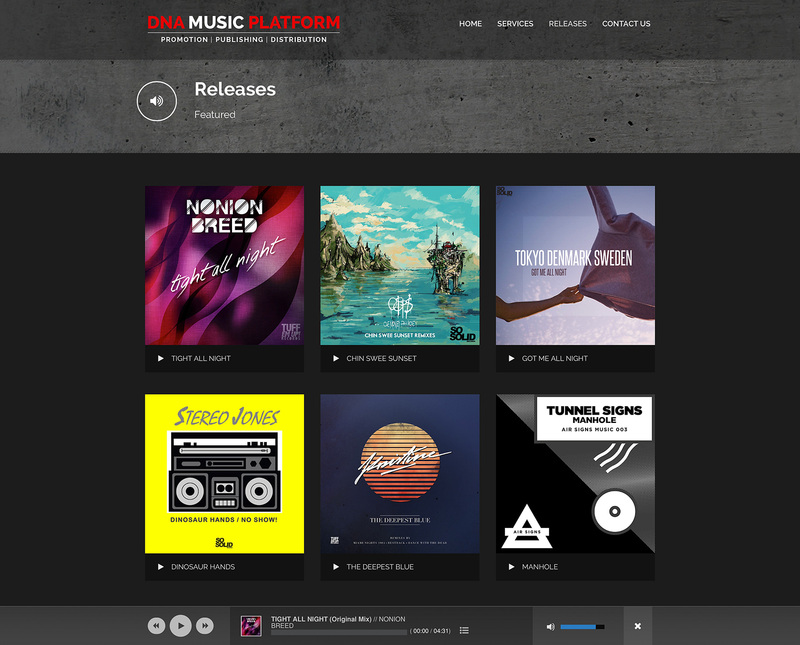 Two by Zero was contracted to build a website which markets their promotion, publishing and distribution services as well as showcasing their current releases. 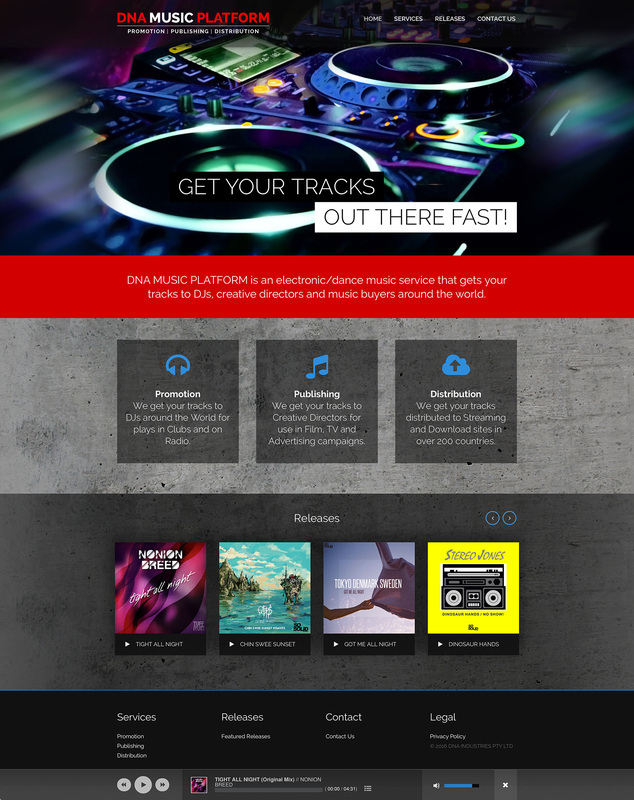 The site features an integrated music player which is not only accessible from release pages but also appears beneath the footer on each page of the site.